For over eight years of professionalism, Premier Taxis Kettering Hotels has become the foremost hotel taxis’ company in Kettering, Northants, England. We proudly deliver incomparable Kettering hotels taxis to and from Kettering Stations, and Kettering taxis to and from hotels in Kettering. We are also in proud affiliation with the Kettering Borough Council and Northamptonshire County Council. One of the reasons why there are lavish, cheap, and tidy hotels in Kettering is because Kettering gets thousands of tourists and local travellers as visitors every week. Kettering is one of the fastest growing towns in Northamptonshire, it has every facility available to lead a happy contented life. Premier Taxis Kettering takes this as an opportunity to make Kettering public transport best and better for everyone. We have a wide range of Sat Nav equipped cars, we have carefully recruited some of the best, expert, licensed, and professional drivers to sever the preeminent Kettering locals. Our booking lines, online booking quotes, and support staff are always available at your service. So, book Kettering taxis to and from hotels and let’s explore the town like never before. 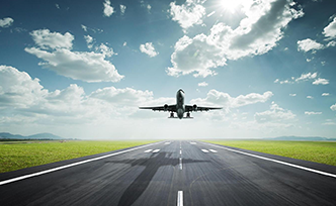 We are indeed proud to offer cheap airport taxis in Kettering to and from Kettering Hotels. Our state-of-the-art Kettering taxis to and from airports include Kettering Airport taxis to Hotels, Kettering Hotel Taxis to Airports, Kettering Airport Shuttle Hotel, and Kettering Hotel minicabs. Kettering is a home to many sumptuous and outstanding hotels such as Kettering Park Hotel & Spa (NN15 6XT), Premier Inn Kettering (NN16 8FX), Holiday Inn Express Kettering (NN14 1UD), Travelodge Kettering (NN14 1RW), and Barton Hall Hotel (NN15 6SG). We provide Kettering taxis to and from Kettering Park Hotel & Spa, Kettering taxis to and from Premier Inn Kettering Hotel, Kettering Taxis to and from Holiday Inn Express Kettering, Kettering Taxis to and from Travelodge Kettering, and Kettering taxis to and from Barton Hall hotel. With punctual Kettering meet and greet taxis airport service to Kettering hotels, you can now avail Kettering airport taxis to hotels in Kettering with one simple booking request. Kettering Meet & Greet Airport taxis provide an opportunity to safely get picked-up from airports to any hotel or place in Kettering, Northamptonshire, UK. Customers mean everything to us, that’s why we have come up fascinating taxis for getting to the airport from Kettering hotels and getting from the airport to Kettering hotels. Don’t worry about the timing, we are available 24 hours a day, 7 days a week, and 365 days a year. We also provide Kettering Station taxis to and from Airport, Kettering hotel taxis to and from hotels, and airport transfers in Kettering, England. Booking a taxi to and from Kettering hotels is will only take few minutes of your time. To proceed with online hotel taxis booking Kettering, visit our online booking page, enter Kettering pick & drop details, and our driver will be with you within 4-5 mins. You can always give us a call on 01536 484 484 in case if you want to beat rush hours and peak times. Our Live Chat and dedicated support staff are available 24/7 at your service. Premier Taxis Kettering offers cheap airport taxis to and from Kettering Hotels, Northamptonshire, UK. 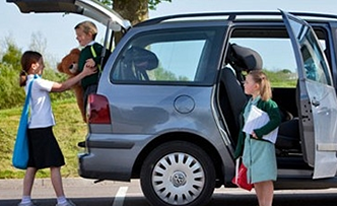 We provide safe & sound Kettering pick & drop service for children to schools in Kettering, UK. 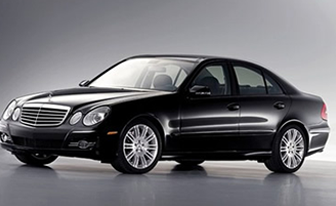 We execute every taxis job in business class cars to give our passengers a standard experience at flat rates.